As a botanical Artist, adding insects or birds and butterflies is questionable, because scientific information about the plants was the major concern in traditional botanical art. However, insects and butterflies, particularly pollinators, and birds, seed dispersers, are very important elements in ecosystem. So, I do not mind including them. 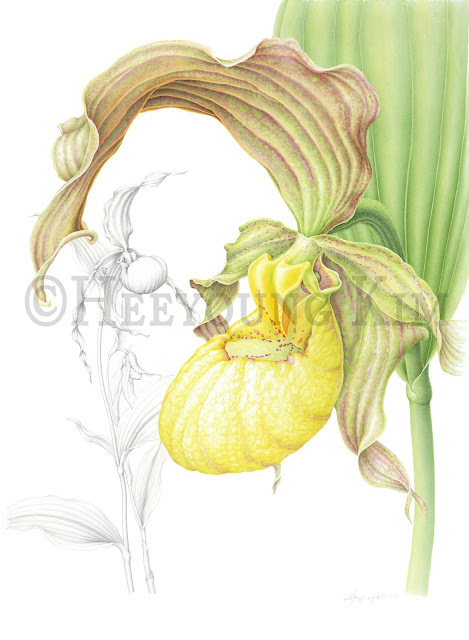 They add more actions to the very quiet botanical paintings, and attract broader audiences as well. 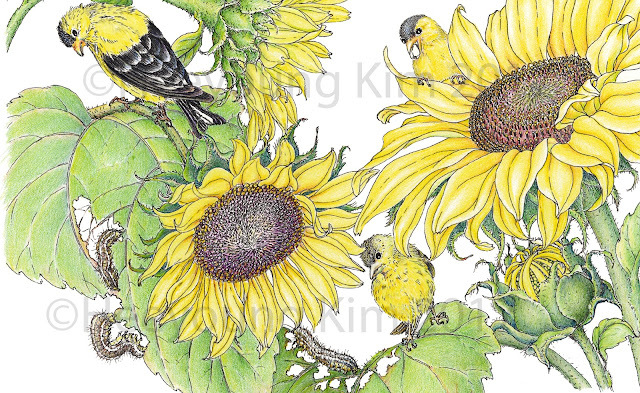 Here are some examples of my recent works with fun and pretty birds and butterflies. These images were used for making my new postcards and greeting cards. Certainly people like them more than the cards with only plants. Wow.....very nice work. Very creative post.Good topic. From your post I could understand that you have well idea. keep it up.